In continued preparations for our upcoming trip to England I hunted down a few picture books about the city. I have to confess to you that we're not really big city people and the idea of London is somewhat loathsome when consider navigating crowds with small children. We won't be spending a whole lot of time there, but will instead be exploring elsewhere. Nevertheless, it seemed almost sacrilegious to go to England without stopping in London for at least a few days. We do have a couple of activities planned and some sight seeing to do there but we'll be operating more on a "get in, get out" mindset. My belief is that one of the best ways you can prepare your kids for any sort of journey is to read books about it. Not only is this a convenient and informative method of transferring information to kids, but it's also just plan, good fun. The first book I picked up was This is London , by M. Sasek. 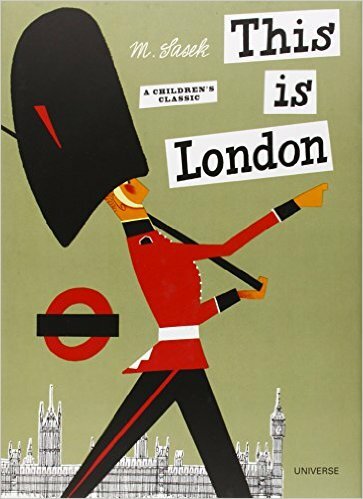 It was first published in 1959 and while some of the information is slightly outdated (e.g., the number of official residents is likely greater than in 1959) the majority of the book is very helpful in giving children an overview of what to expect to see when in this famous city. The illustrations in This is London can now be considered retro and is therefore cool enough to have been picked up for republication in 2004. You shouldn't have too hard a time locating a copy of this title if you are interested in it and in the reading you'll become familiar with places such as St. Paul's Cathedral, Buckingham Palace, the Thames, Tower Bridge, Hyde Park, and etc. The second book I'd recommend is called A Walk in London and it was written and illustrated by Salvatore Rubbino. This book is similar to This is London in that Rubbino is interested in offering an overview of London to the young reader. Many of of the same places are mentioned, but repetition never hurt anyone (most of the time). The difference between this book and the other is that Rubbino wants to tell the readers about London through story (whereas Sasek pretty much sticks to plain facts). 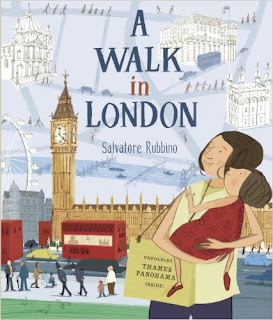 In Rubbino's book we visit with a young girl and her mother as they explore the area, visiting places like St. James Park, Covent Garden Piazza and the Underground Bank. Despite these two books having a similar feel to them, and do overlap a bit, they each contain enough different information to make them both worthwhile. 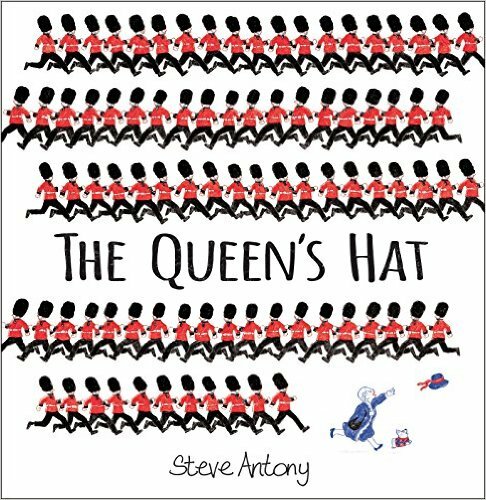 Lastly, we just received a copy of The Queen's Hat , by Steve Antony in the mail from Scholastic Books. What beautiful timing! This title is just for fun. The Queen is on her way "to visit someone very special" when the wind suddenly sweeps the hat off of her head. The Queen and "the Queen's men" begin chasing her hat all over London (introducing us to landmarks, along the way) until it finally lands on that very special person - the royal baby. All's well that ends well, as they say. The illustrations are what makes this book, in my opinion. The Queen's men can be seen by the hundreds, crawling all over the pages. Their bright red uniforms stand in nice contrast to the simple, faded line drawings which outline streets and buildings in the background. My kids loved this book and I must confess that I did also. I found it altogether adorable and would highly recommend it. 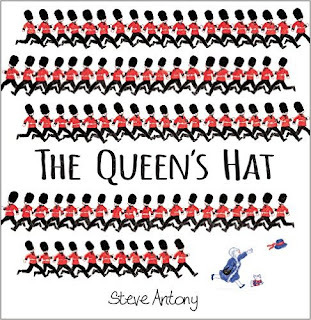 Many thanks to Scholastic Books for sending a copy of The Queen's Hat my direction in order to facilitate a review. I received no additional compensation and these opinions are our very own. Whether traveling to London or studying up on England and its history, these are books I feel very safe in recommending to others as being useful. Enjoy! They all sound interesting, and The Queen's Hat sounds delightful! Thanks for these recommendations. We're coming up on England/London again in history and I've been looking for some books to read. I remembered your post on these and found them via the library and ILL system.